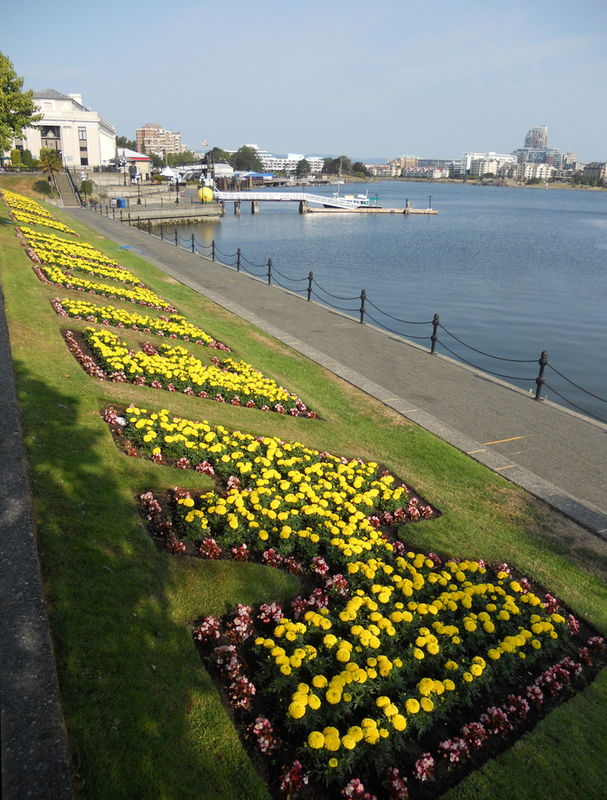 As I walked along the Inner Harbour the other morning, I noticed how vibrant and eye-catching were the “Welcome to Victoria” flower beds along the lower causeway. 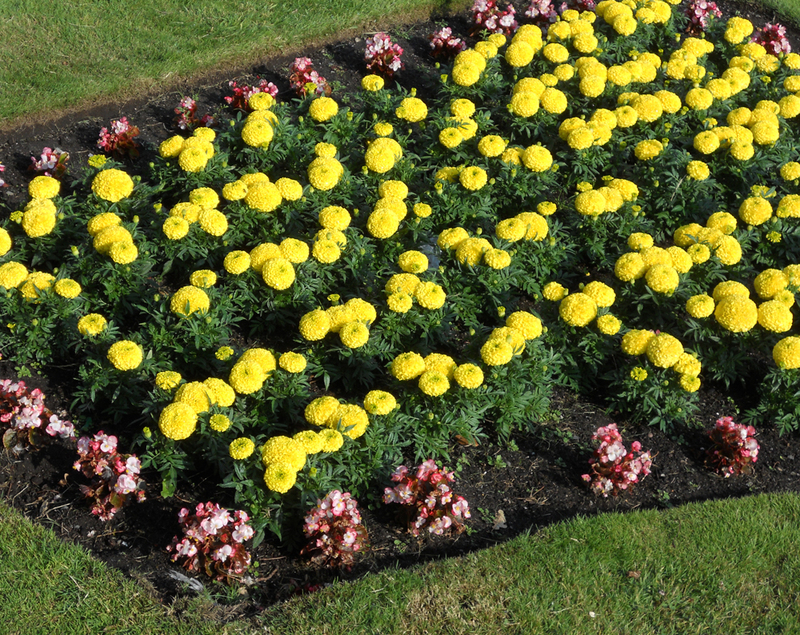 The gardening staff of the city have chosen a very pretty yellow for the beds this year. It shines from a long way off! Cheery flower beds welcome all our visitors! 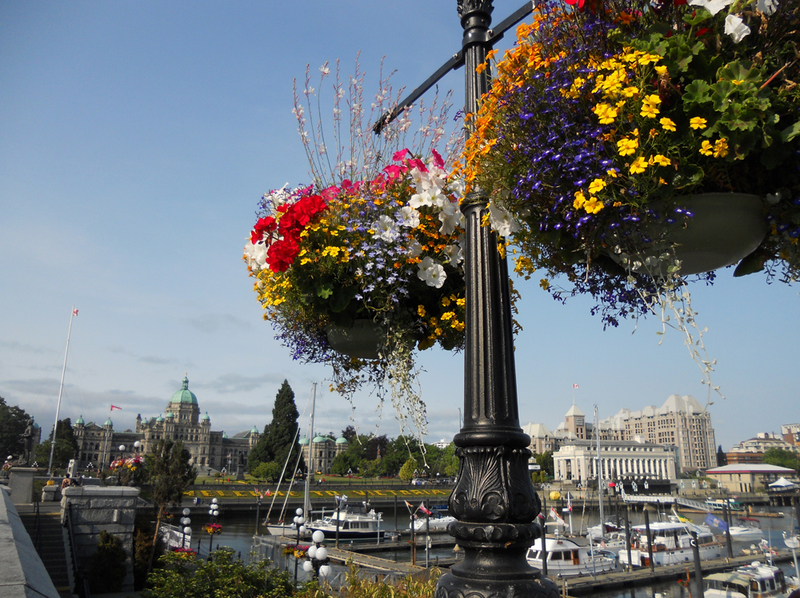 All the lamp standards downtown are adorned with hanging flower baskets. 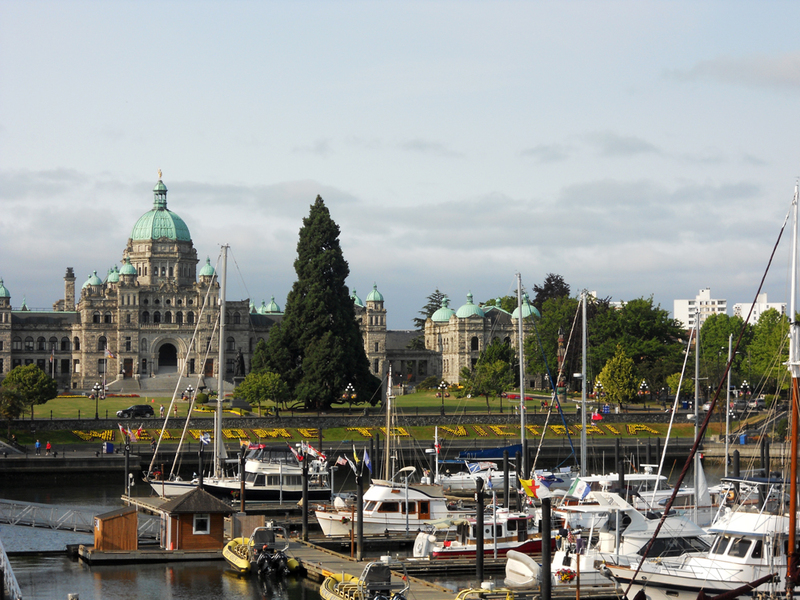 Closeup looking towards the historic Victoria Steamship Terminal – now the Robert Bateman Centre, a coffee shop, and a restaurant. 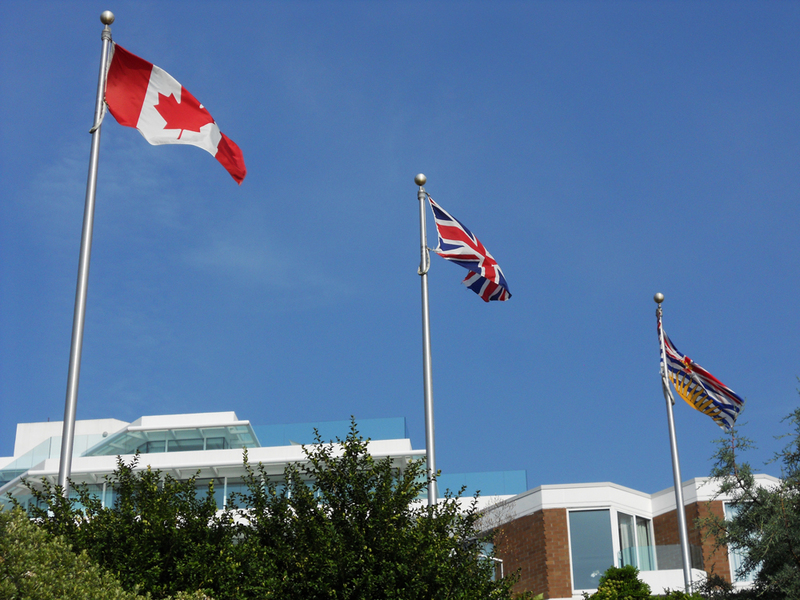 And just for fun, flags outside the lobby of the Inn at Laurel Point, just a little further along my route.